On Monday the 12th September, 2016 saw the annual gathering of the Deputy DC’s in the Mark in Kent. 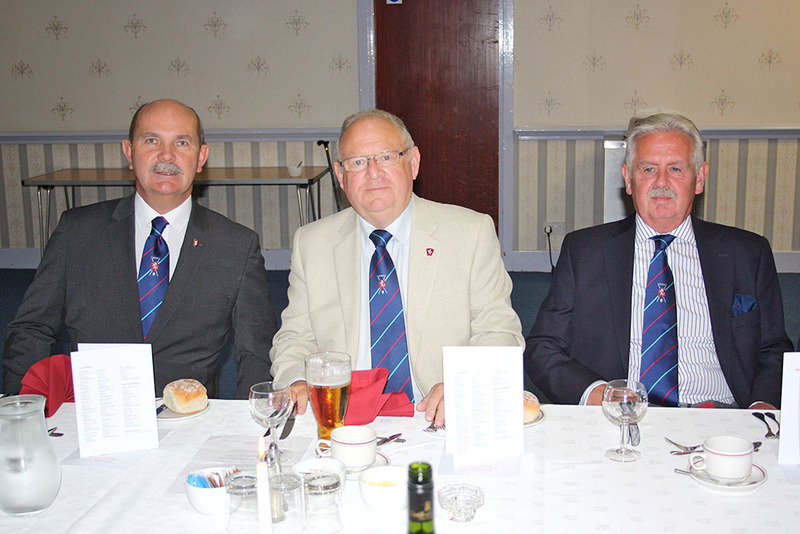 It was once again held at the Tovil Masonic Centre and this year saw an almost full contingent of the Mess with 15 Deputy DC’s or Past Deputy DC’s attending and being presided over by this years President of the Mess, Peter Williams and in the company of the Provincial Grand Master Archie Torrance who is a member. In the photograph can be seen from left to right V.W.Bro Bob Tuthill, V.W.Bro Graham Smith, W.Bro Greg Dunham, W.Bro Kevin Taylor, W.Bro Martyn Summers, W.Bro Perri Ahmet, V.W.Bro Frank Holding, R.W.Bro Archie Torrance, V.W.Bro Peter Williams, R.W.Bro Roger Croucher, W.Bro Graham Raven, W.Bro Neil Johnstone, W.Bro Dave Jordan, W.Bro Roy Hartley, V.W.Bro Geoff Whale. A very convivial meal was had by all with good conversation good wine and an after dinner liqueur provided by the President. The Provincial Grand Master then spoke about the retiring Provincial Grand Director of Ceremonies Greg Dunham and thanked him for his 8 years of dedicated service to the Province as Director of Ceremonies which was received by those present with applause. The remaining Mess business was dealt with and the Mess was closed.